From I-275 exit in Law'burg: SR 1 to L on Pribble (Perfect North Slopes), R on Kaiser Dr. Property on Right. 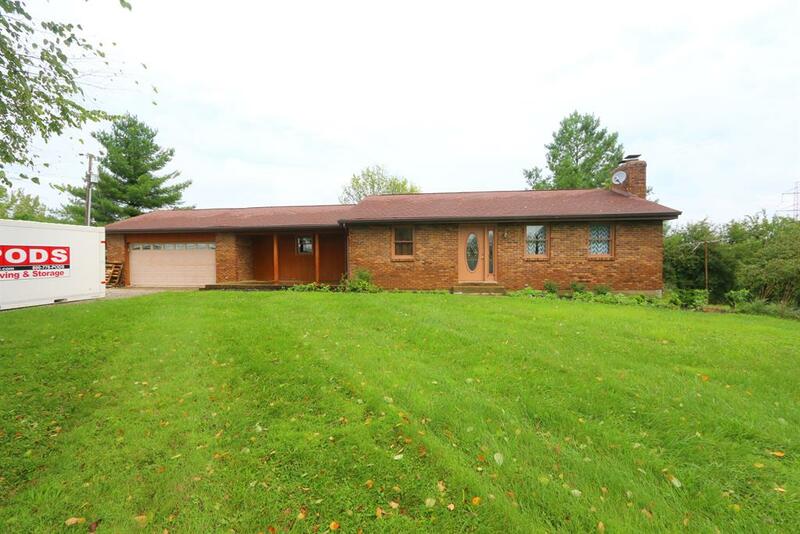 Nice 3 bdrm, 2 bath brick ranch on 28.7 ac with woods, fenced pasture, and 30x67 pole barn with electric! Home includes new carpet, eat-in kitchen, full finished walk-out basement, wood burning stone fp, covered front & back porch & hot tub!